Yes, I just posted not one, but two pieces about slowing down, taking less on, finding balance, blah, blah, blah. And I also just posted a project where I’ll be sending handwritten notes/cards/letters to my Facebook friends and family every day in November, so perhaps my plate is a little full. 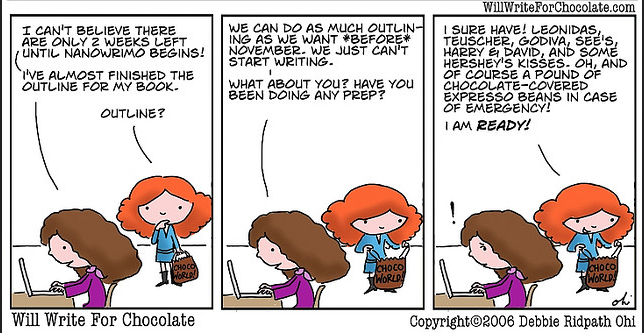 But November is NaNoWriMo month, and I’ve been putting it off for several years now. So there you have it: Shannon’s pseudo-NaNoWriMo 2014. I’ll document some of it here because, well, why wouldn’t I? And we’ll see how it goes. What about you? Anyone else taking on NaNoWriMo? Or giving it your own spin? Why? What are you doing? Is it the first time you’ve done this? Comment below and share your own story. Note: Thanks to my friend, @regtiangha–who took this challenge last year, and the year before that, I believe–for being a quiet inspiration, supporter, challenger and cohort. Best of luck, Reg.